Nutella's Spife Instant Win contest is back! A spife is half spoon, half knife, perfect for Nutella! To enter purchase specially marked Nutella products and locate the PIN code. 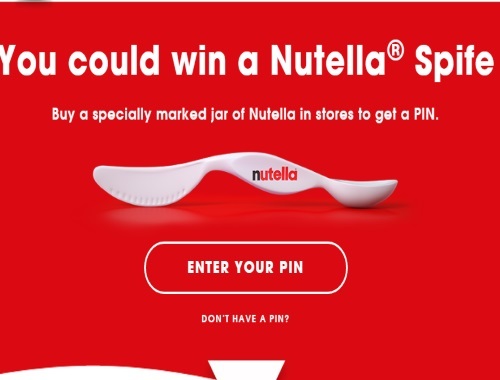 Enter your PIN Code for your chance to instantly win a Free Nutella Spife. There are 40,000 prizes available to be won. Limit 1 entry per PIN Code.